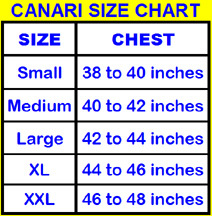 BRAND: Canari - a California-based company that has been making top quality cycling apparel for 20+ years. --A micro-filament engineered polyester yarn that gives this high performance fabric a unique softness, providing superior durability and comfort. These specifically shaped and engineered yarns increase moisture wicking capabilities and comfort with unsurpassed performance. 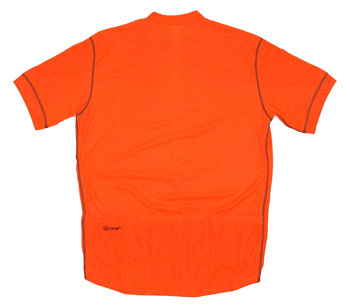 --Super bright neon orange (Canari calls it Solar Orange) with black zipper and black flatlock stitching--a great looking, highly visible jersey. 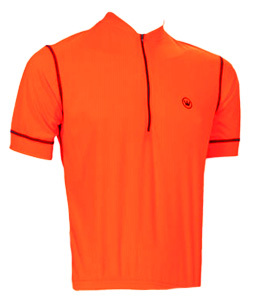 Actual jersey is much brighter than photo!